5,333 Artworks have been viewed 5,333 times. Born the tenth son of a stonecutter in Burgundy, Pierre Prudon (b. 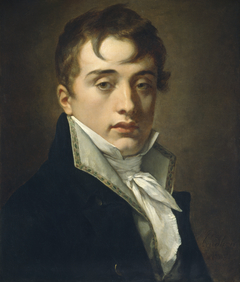 1758, Cluny, France - d. 1823, Paris) altered both halves of his name and became Pierre-Paul Prud'hon, as if to relate himself to Peter Paul Rubens and to evoke landed gentry. 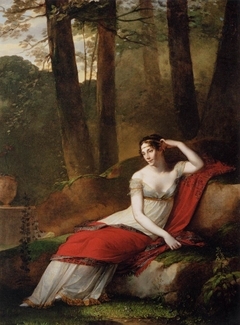 He began studying painting in Dijon at age sixteen. 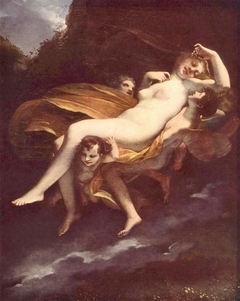 He arrived in Paris in 1780, but his experience in Italy from 1784 to 1787, when he absorbed the softness and sensuality of Correggio's works and Leonardo da Vinci's sfumato, gave his art its distinctive style. 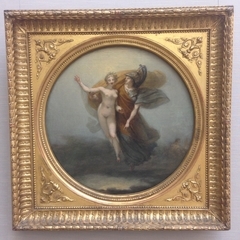 Upon his return to Paris, Prud'hon enthusiastically supported the French Revolution. 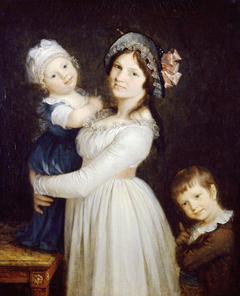 In 1801 Napoleon favored him with commissions for portraits, ceiling decorations, and allegorical paintings. 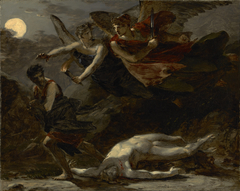 "Prud'hon's true genius lay in allegory; this is his empire and his true domain," Eugène Delacroix later wrote. 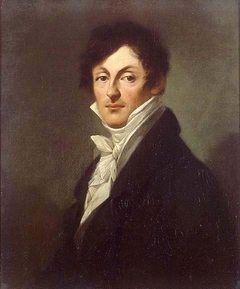 In 1816 he gained membership in the Institute de France. 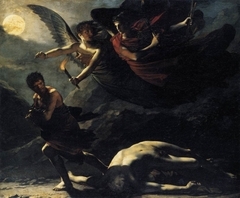 An ill-fated love affair with a pupil and collaborator who committed suicide in his studio caused Prud'hon's depression and subsequent death. 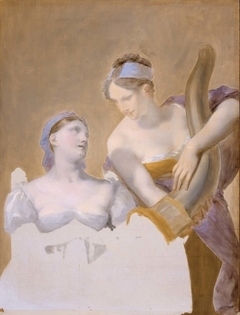 Prud'hon's artistic style contrasted starkly with the dominant version of Neoclassicism under Jacques-Louis David. 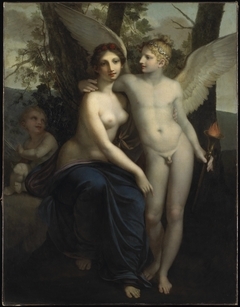 Prud'hon's paintings were based on classical texts and ancient prototypes, but his dreaminess and melancholy were more akin to Romanticism. His drawings, often black chalk on blue paper, were widely admired.